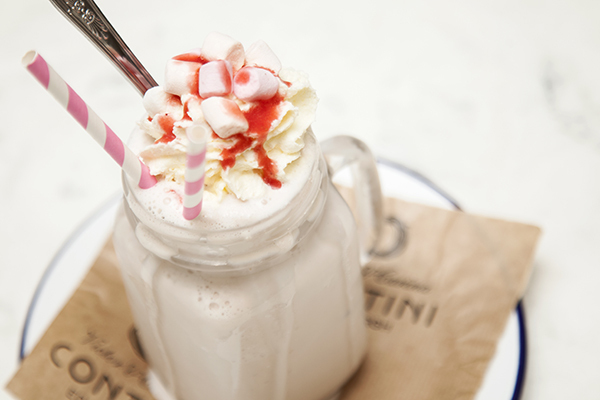 Sometimes only Carina’s Scottish Strawberry Shortcake Milkshake will do! Using a blender, add the clean washed strawberries (keep one back for the garnish), ice cream and Amaretto. Mix until incorporated. Pour into a chilled tall glass and carefully pipe some whipped cream on top. Serve with fun straws and a clean halved strawberry and as many marshmallows as you can fit on top to decorate.